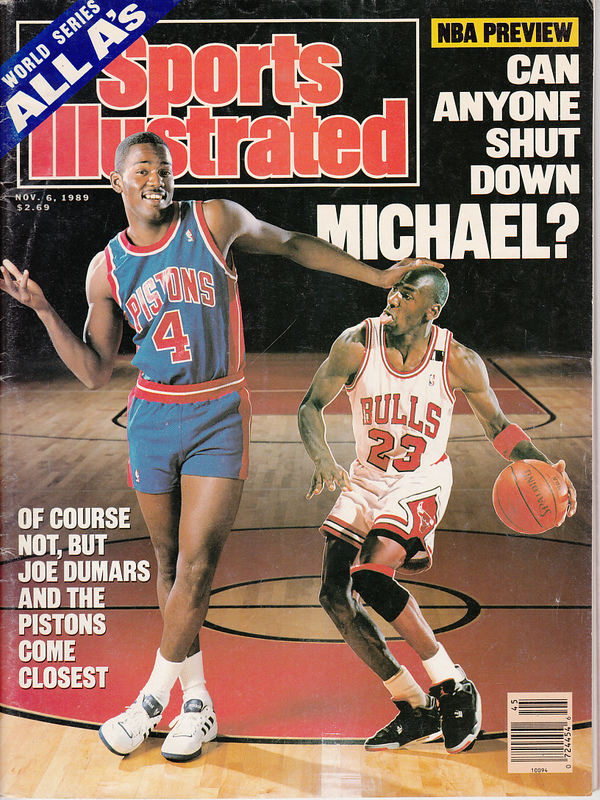 Original November 6, 1989 issue of Sports Illustrated featuring Hall of Famers Michael Jordan and Joe Dumars on the cover. This is a rare newsstand copy with no subscription label. Has minor to moderate flaws and wear. ONLY ONE AVAILABLE FOR SALE.